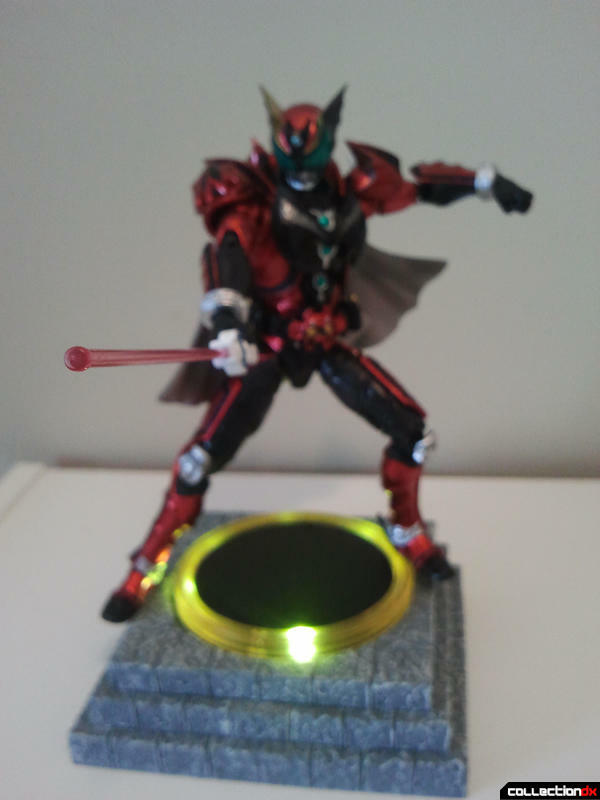 Kamen Rider Dark Kiva was one of the final characters to show up late in Kamen Rider Kiva. 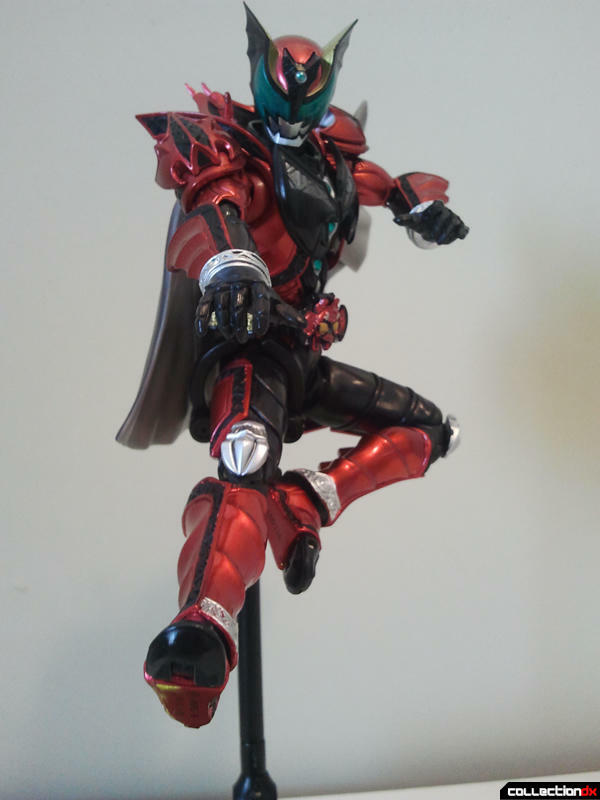 This Figuart actually represents three different characters that used the Dark Kiva powers throughout the timeline. 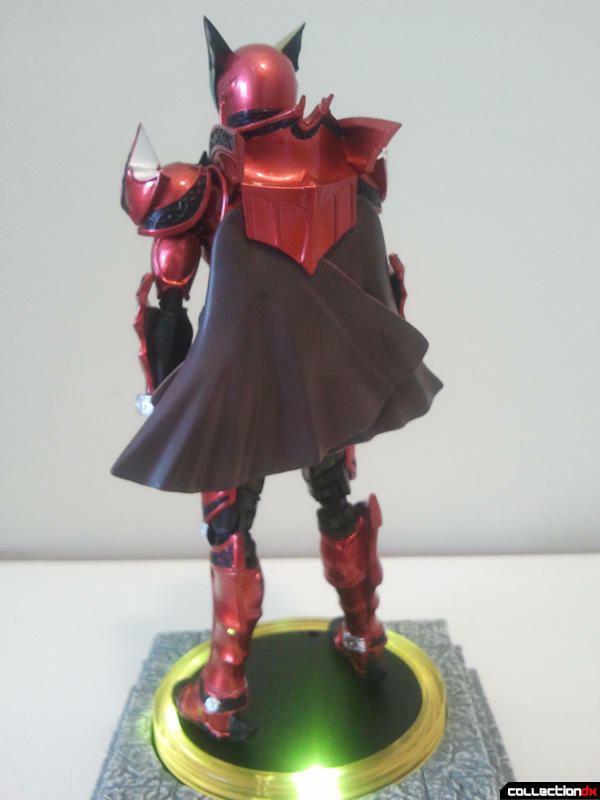 Dark Kiva is a slight remolding of the Kiva Emperor design, with a color swap and a slightly different head with a bit more of a bat motif. 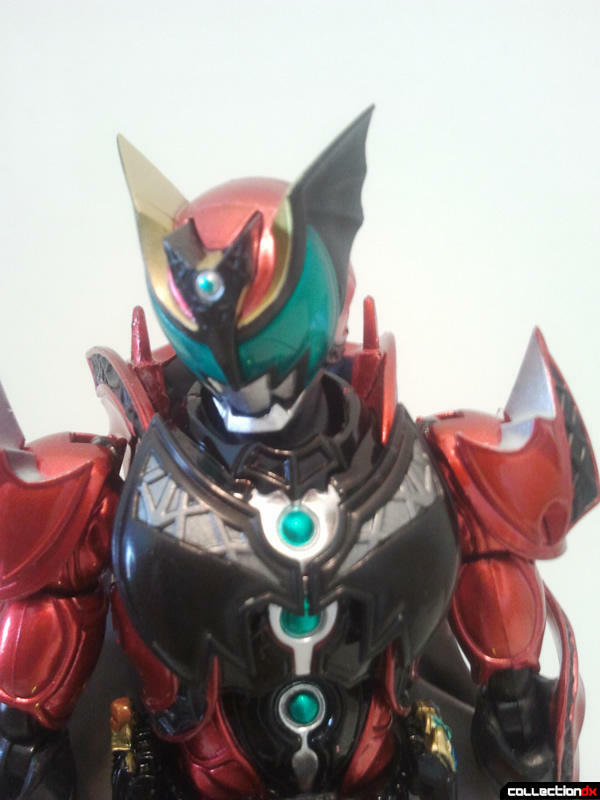 All of the details and paint from Kiva Emperor are present, with a deep metallic red and black details instead. The green eyes really help add a sense of menace to Dark Kiva. 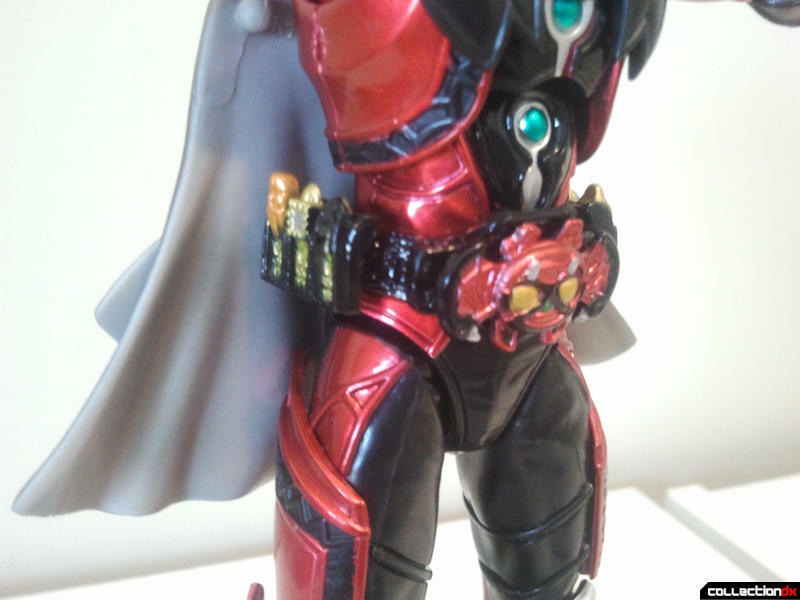 Dark Kiva's accessory count is slightly different from Emperor form's. 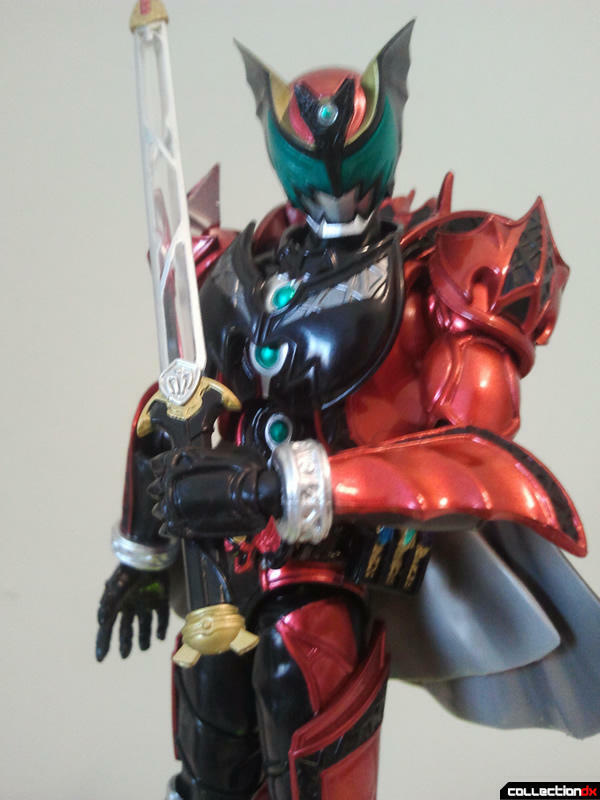 Although he has the same hands and cape, he features two different swords. 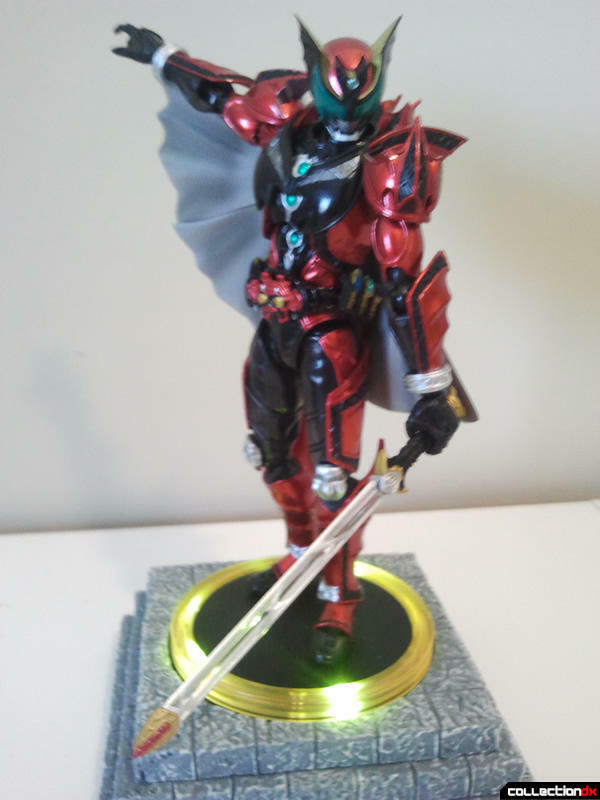 He has the Zanvat Sword as depicted when the King Fangire possessed it, before Kurenai Wataru did. 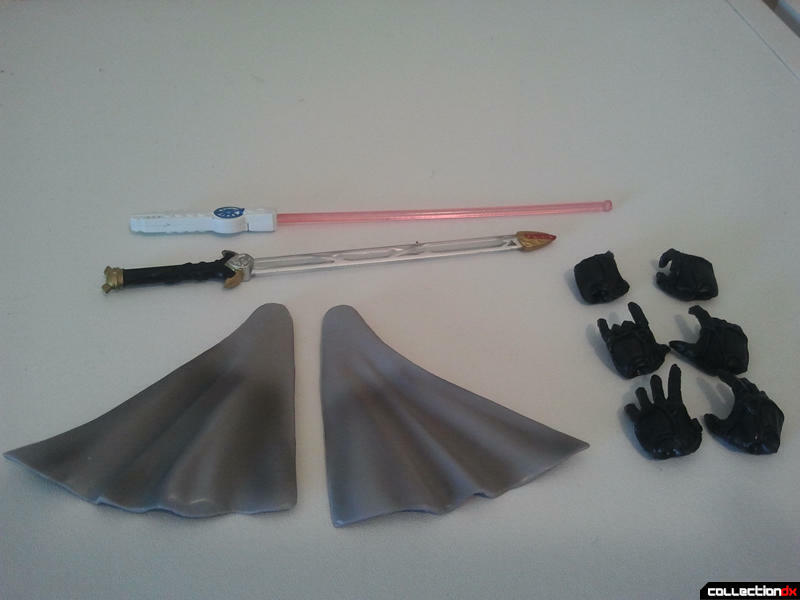 The other beam saber looking weapon is the Jacorder rod, a weapon that Touga from the present timeline in Kiva uses. 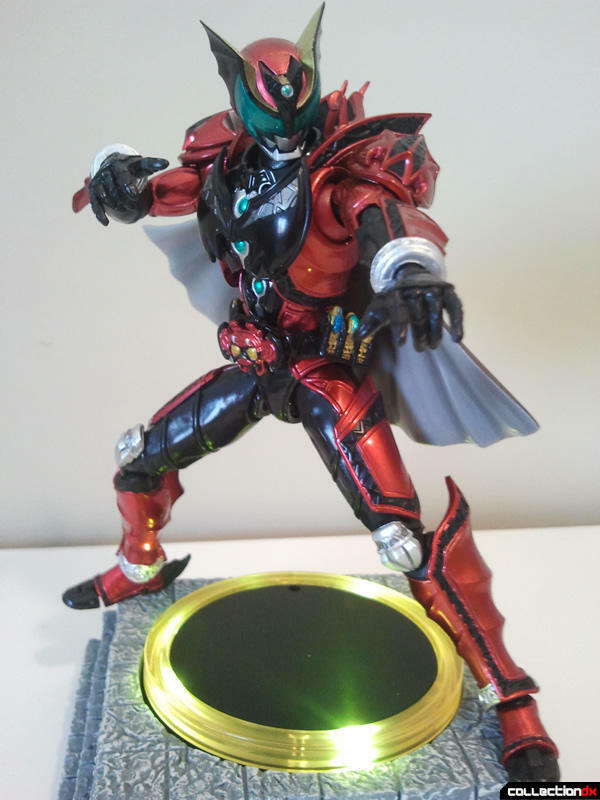 Kamen Rider Dark Kiva does everything the same as Emperor Form does, with just a slightly different accessory count and a different head mold. 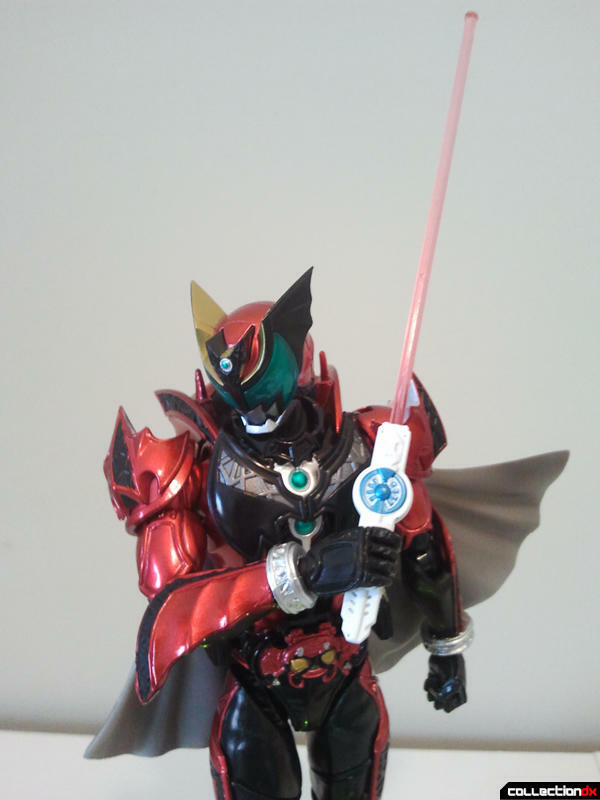 If Emperor Form's gold and red don't do it for you, then maybe Dark Kiva's black and red will.